The European Union on Monday (25 February) urged countries to avoid any military intervention in Venezuela. “We must avoid a military intervention,” Maja Kocijancic, the spokeswoman for diplomatic chief Federica Mogherini, told reporters. “What is explicitly quite clear, from our point of view, is that we need a peaceful political and democratic and Venezuelan-owned resolution of this crisis,” she added. Venezuela’s opposition leader and self-declared president Juan Guaidó is in Bogota for talks with allies in the regional Lima Group of countries on measures to compel President Nicolás Maduro to leave office. Guaidó flew to the Colombian capital Sunday for the meeting with members of the Lima Group – 13 Latin American countries plus Canada that are seeking to resolve Venezuela’s political impasse. 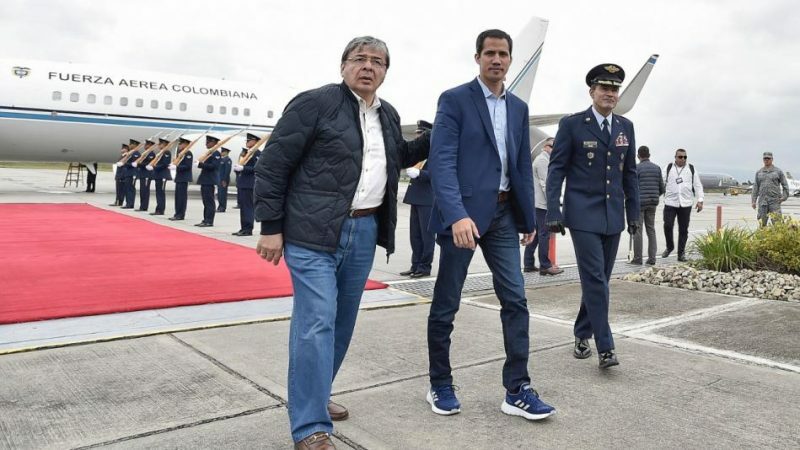 Upon landing in Bogota Guaidó called on the international community to consider “all measures to free” Venezuela. This is the first time that the Lima Group, which first met in the Peruvian capital in 2017, will speak directly to Guaidó. Humanitarian aid, much of it from the United States, has been at the center of the standoff between Maduro and Guaidó. After Saturday’s events it is “not very clear” that Guaidó has “massive” support in Venezuela, analyst Rafael Pineros told AFP.